Face it: first impressions matter. When you’re due for your job interview, what your future employer sees and gauges won’t be your curriculum vitae in paper, but more importantly, the way you present and carry yourself. In essence, you are your own resumé; putting your best face and attitude forward can make the difference. 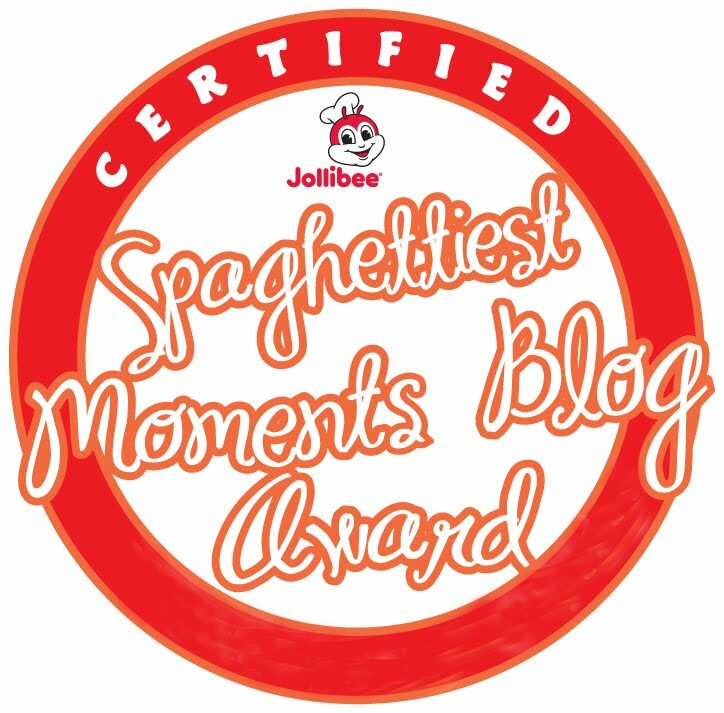 Talent management and events company Brand Ambassadors Circle, in cooperation with AMPR Publicity and Communications Inc., is staging a combat field to hone one's own personality. 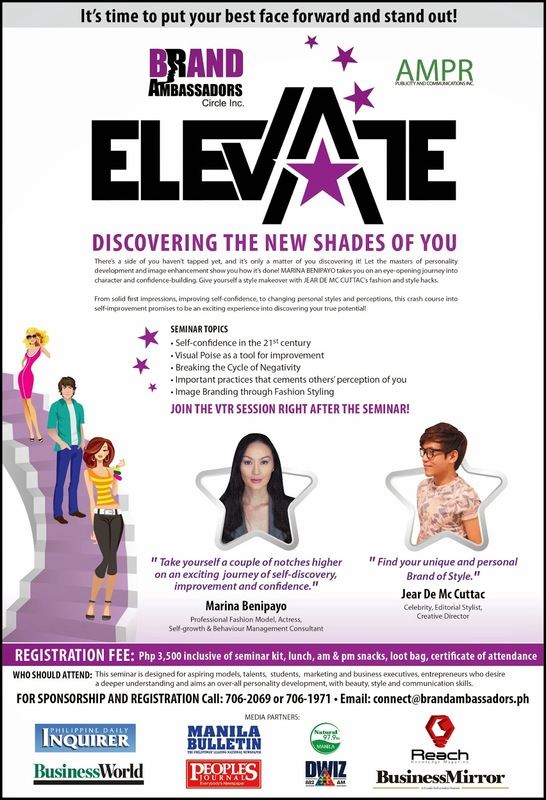 The event is named: "Elevate: Discovering the New Shades of You!" a fun, engaging, and holistic personality development seminar for aspiring models, talents and even individuals seeking to improve their internal and external personality aspects. Powerhouses in the self-image and development industry are the main guest speakers for this workshop. Self-enrichment consultant and trainer Marina Benipayo and industry-acclaimed stylist Jear De Mc Cuttac are at the helm to share their personal experiences and vast insights. They will teach practical ways on topics that include modeling, speech and communications, personal styling, and image building. 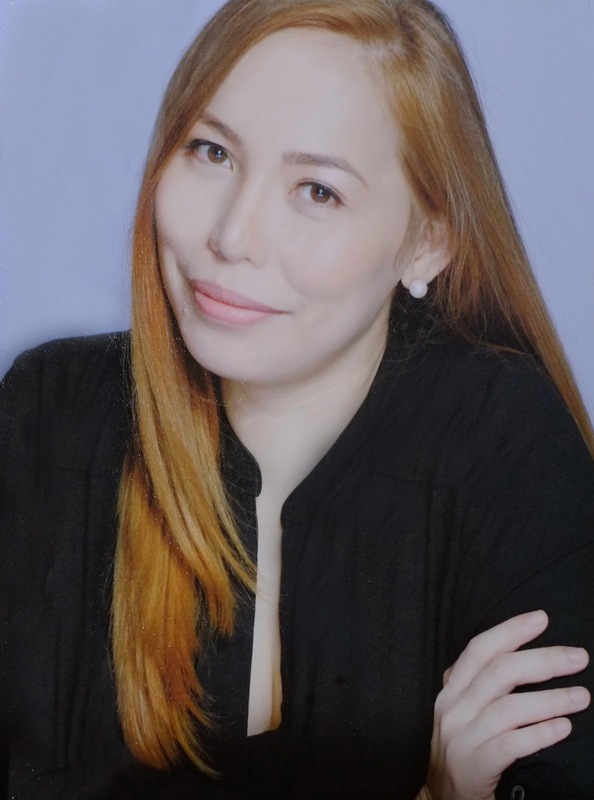 Marina is both a familiar face and a formidable force in Philippine fashion for more than two decades, from gracing the pages and covers of premium glossy to dominating the runway. Marina admits that it wasn’t as easy getting to the top; as she had to compete with her contemporaries who possessed the oft-demanded mestiza-look. Marina’s chinita features - chinky, doe-like eyes, and a lovely pear-shape face, made her unique in the industry that ultimately changed the game. By undergoing personality development programs, she overcame her stage fright. This allowed her to reinvent herself, and catapult her to stardom. 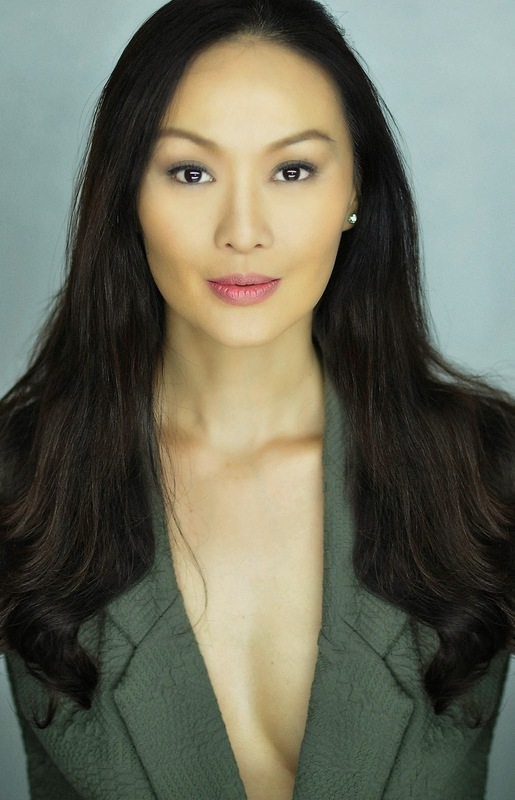 Her credentials is a long, illustrious career: victories in modeling competitions; being chosen to represent the Philippines as Miss World; being part of a major campaign in the promoting the country’s tourism, among many others. But above all, she has acquired unique wisdom that allowed her to reach out and mentor people seeking self-improvement through behavior management, human dynamics, and other aspects of self-development. Attending this one-day course is like "hitting two birds with one stone.” Participants also get to be trained by her equally eloquent and talented instructor Jear, particularly on the importance of image enhancement and styling in order to stand out and enter a class of their own in a highly competitive environment. Set to unfold at the SMX Convention Center on October 11, 2014, luminaries and attendees from various industries, such as advertising, entertainment, event management and media, will converge in this self-enriching seminar. Amidst a spirit of fun, flowing food, and freebies, a select pool of speakers led by Marina will reveal the unique journey of uplifting and empowering one’s authentic self. Are you ready to take the step forward? For reservations or inquiries, call 706-2069 / 706-1971.